Congrats! You've decided to purchase a new home! Understanding your mortgage rate is an important step in the home buying process! Mortgage rates might seem complicated but check out this helpful information and tips to help you navigate your way through the world of mortgages. Your unique borrower profile determines the custom mortgage quote you receive from a lender. Most people are subject to risk-based pricing adjustments on their quote, unless you have great credit and a low loan-to-value ratio. Want to take control over your rate? There are a few factors from the list above that you can control in order to affect your mortgage rate in a positive way. Property type | Consider the relative cost of financing when choosing what home to buy. Loan-to-value (LTV) | Put more money down on the home to cut your loan fees and lower your mortgage insurance rate. Loan features | Save interest by choosing a loan with a shorter fixed rate term. Loan amount | Avoid jumbo home loans that potentially increase your expenses. Credit score | Work on raising your FICO before purchasing a home. Points | Pay more upfront to lower your interest rate. Another important thing to note is that mortgage rates change constantly. Your rate could change overnight. Be sure to do your research ahead of time so you know when to accept the best offer. 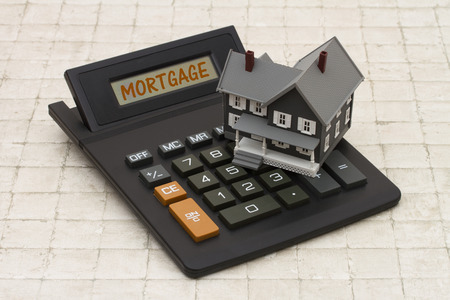 Be sure to get custom quotes from several competing mortgage lenders. Take advantage of the current low mortgage rates today! Check out our website at Website for additional home buyers tips and resources, including mortgage calculator and rate comparison!